January 3, 2006– I fished with Mike Giarla , his son Robert & cousin Anthony Giarla today, this trip was a birthday present for Robert, great parents! 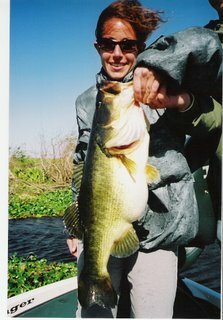 Today the fishing started very slowly, for the first 3 hours we only had 7 fish, and we moved 6 times in that period. I was starting to get a litttle disgusted with the attitude of the fish today! We made another move at 10am and it proved to be key! The fish started biting fast and furious, we caught another 19 fish bring our total for the half day to 26 fish. 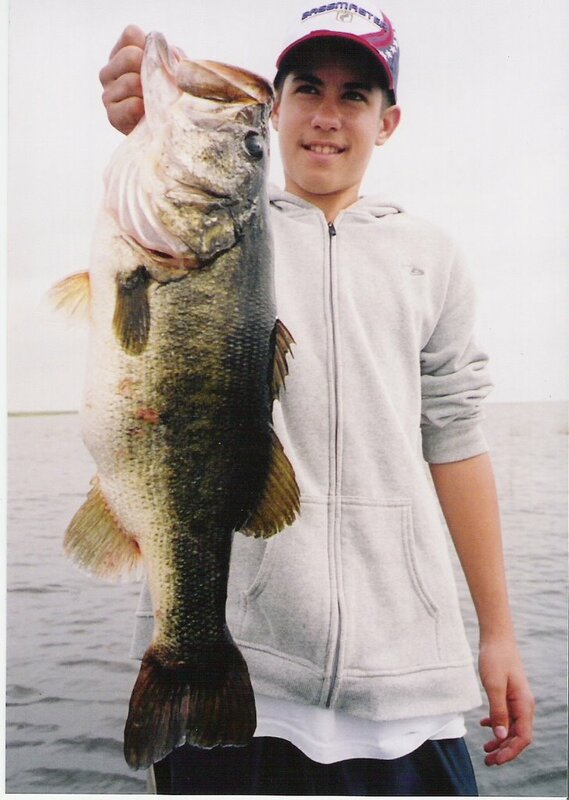 The star of the day was 13 year old Anthony, he caught & released a 9lb 6oz Okeechobee spawner, that was swollen with eggs. It was a great day on the water with Mike, and 2 great kids! showed signs of returning to normal after last weeks cold front. We caught 37 Bass in our 8 hours of fishing, all of our fish were caught on live wild shiners, 50% of them were caught under a bobber, the rest were caught freelining. Today the fishing, and the company, were both good! the fishing continues to be red hot. 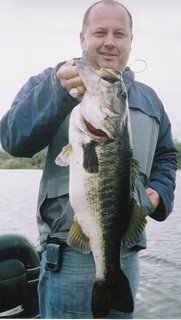 If you have a question about the numbers of bass being caught I would be more than happy to put you in touch with my customers, so they can tell you how good it is in their own words. 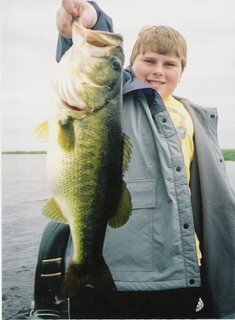 Today I fished with Zane, Jessie & Guy from Indiana, we caught 34 largemouth on wild shiners. Jessie had the big fish of the day, a 9lb 10oz giant that was his biggest bass ever. 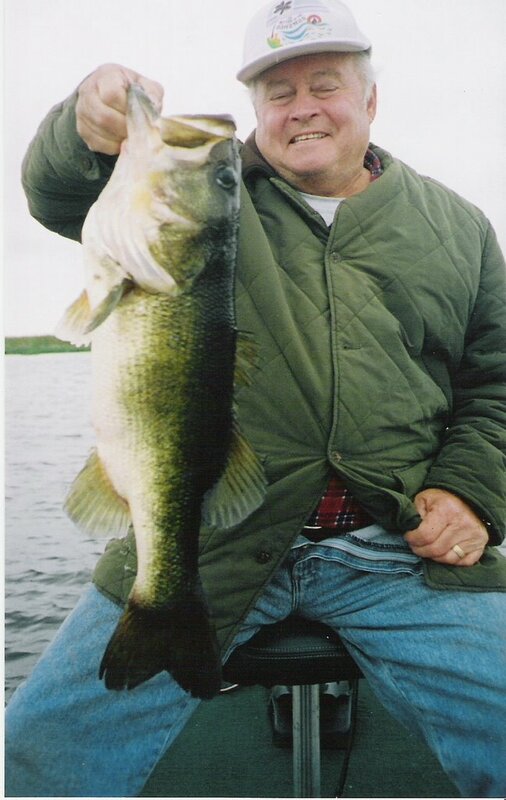 They are going home to Indiana for the holidays but are coming back for a few more day of bass fishing after the holidays. 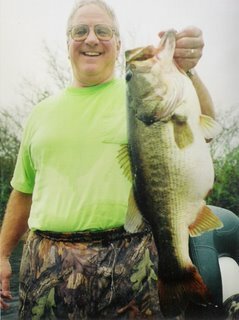 The fishing has been great for the last couple days, I hope it stays that way! 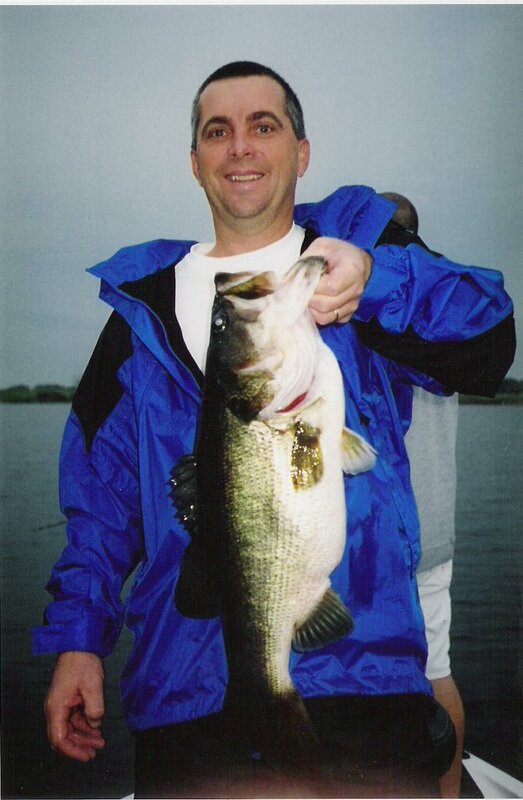 Lake Okeechobee Fishing Guides: Newlywed Catches Giant Bass! 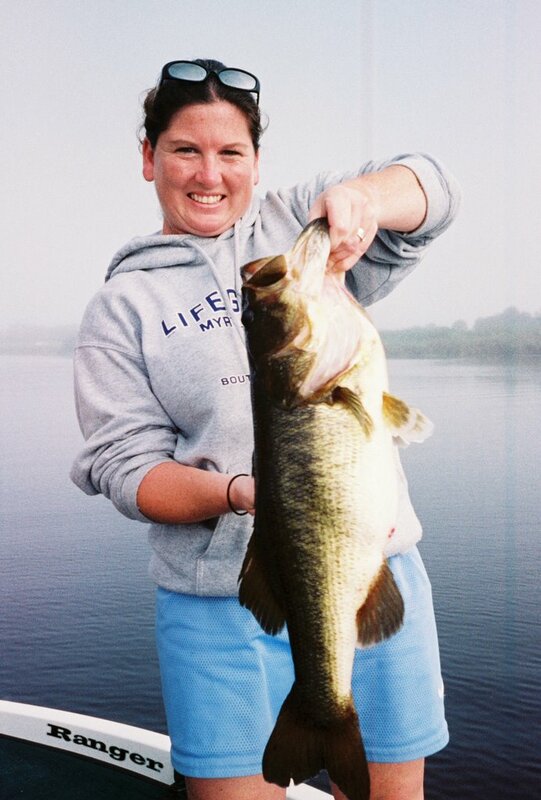 Newlywed Eileen Coco caught this 10lb 6oz giant while on her honeymoon. It was Eileens first bass fishing trip. She caught this big sow at 10am in the morning while freelining a live wild shiner.